Here Is Another Chance!! Don't Miss It This Time. Oh well i missed that chance last year says a thought in my head. I missed that chance as a result of many factors: fear, procrastination, self doubt, financial incapabilities e.t.c. This is a brand new year and i know it will be filled with many chances/opportunities. Now, the question is; will i let whatever held me back last year have its way this year? I pose this same question to you... will you? 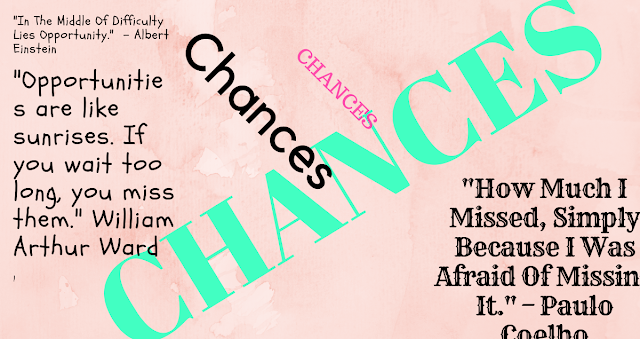 As for me i am prepared to take my chances this year, launch and aim at greater height that my fear and insecurities are constantly telling me it is not possible, holding onto the word of Mark Zuckerberg that says "In a world that changes really quickly, the only strategy that is guaranteed to fail is not taking risks(chances)." Believe me, opportunities will come knocking this year in form of your most dreaded fears and insecurities. My only advice for you is to face them head-on. Don't be afraid to fail. "Failure is simply the opportunity to begin again, this time more intelligently." says the famous Henry Ford. 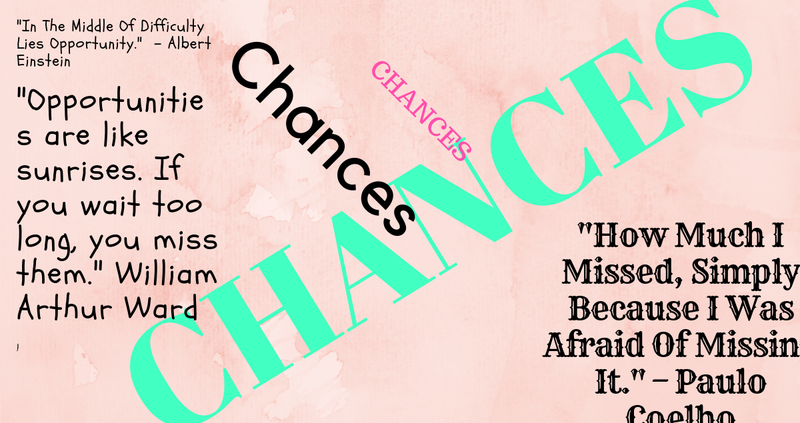 Yes, most of these awesome chances/opportunities will come in shades of difficulties that might require you to leave your comfort zone. I say to you, don't miss out on something that could be great and make you better just because it's difficult. It is going to be a great year.... Stay focused. As 2018 comes to a close, we’re left looking back at the good, the not-so-good, and the downright ugly. One thing that’s for certain, 2019 is going to be all about setting ourselves up for emotional, mental, spiritual, and physical success. So why not try to live by these 15 quotes to make 2019 your year. Little things can make a big difference, and these small changes are no exception. - Discipline is choosing between what you want now and between what you want more.- Augusta F. Kantra. - The things you are passionate about are not random. They are your calling. - Fabienne Fredrickson. - People will forget what you said, people will forget what you did, but people will never forget how you made them feel. - Maya Angelou. - Everything you want is on the other side of fear. - Jack Canfield. - The most common way people give up their power is by thinking they don't have any. - Alice Walker. Small mind discuss people.. Eleanor Roosevelt. The Yoruba people are an ethic group of southwestern and north-central Nigeria, as well as southern and central Benin. Together, these regions are known as Yorubaland. 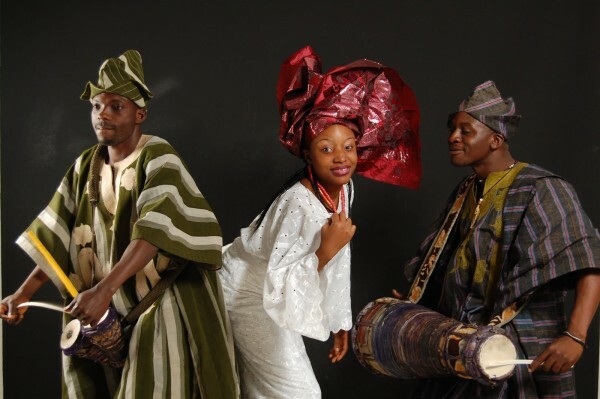 The Yoruba constitute over 40 million people in total. The Yoruba tribe are known for buttressing their points with proverbs and witty saying. Though these proverbs are wise words, they sometimes sound funny. Let's take a look at some of the most common ones and their meanings. - A hunter who has only one arrow does not shoot with a careless aim: It simply means that one need to manage his or her resources properly. - When it rains on a leopard it doesn't wash off its spot: It means tough time don't last but tough people do. - By trying often after the monkey, one has to learn to jump from tree to tree without falling: Practice makes perfection. Comfort-ability should be chosen over luxury. - You do not beat a child on the day he breaks a pot: One should start cautioning a child from the earliest. - If you listen to the noise of the market, you won't buy anything: One should face what is paramount to one first before other things. - If you give a man a fish, you feed him for a day, if you teach him how to fish, you feed him for a lifetime: It is better to empower someone than helping he or she with stipends. What goes up must surely come down: What goes around, comes around. Do you know any wise words or proverbs from the Yoruba people? Please put it as a comment. 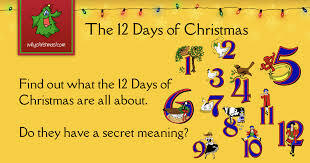 There is one Christmas Carol that has always baffled me - "The Twelve Days of Christmas". What in the world do leaping lords, French hens, swimming swans, and especially the partridge who won't come out of the pear tree have to do with Christmas? From 1558 until 1829, Roman Catholics in England were not permitted to practice their faith openly. Someone during that era wrote this carol as a catechism song for young Catholics. It has two levels of meaning: the surface meaning plus a hidden meaning known only to members of their church. Each element in the carol has a code word for a religious reality which the children could remember.
. "My true love" means God. God sends gifts to us daily. • The partridge in a pear tree was Jesus Christ. • Two turtle doves were the Old and New Testaments. • Three French hens stood for faith, hope and love. • The four calling birds were the four gospels of Matthew, Mark, Luke & John. • The five golden rings recalled the Torah or Law, the first five books of the Old Testament. • The six geese a-laying stood for the six days of creation. • Seven swans a-swimming represented the sevenfold gifts of the Holy Spirit--Prophesy, Serving, Teaching, Exhortation, Contribution, Leadership, and Mercy. • The eight maids a-milking were the eight beatitudes. • Nine ladies dancing were the nine fruits of the Holy Spirit--Love, Joy, Peace, Patience, Kindness, Goodness, Faithfulness, Gentleness, and Self Control. • The ten lords a-leaping were the Ten Commandments. • The eleven pipers piping stood for the eleven faithful disciples. • The twelve drummers drumming symbolized the twelve points of belief in the Apostles' Creed. This is a history lesson for today. This knowledge was shared with me and I found it interesting and enlightening. Now I know how that strange song became a Christmas Carol. "Since God chose you to be the holy people he loves, you must clothe yourselves with tenderhearted mercy, kindness, humility, gentleness, and patience.13 Make allowance for each other’s faults, and forgive anyone who offends you. Remember, the Lord forgave you, so you must forgive others.14 Above all, clothe yourselves with love, which binds us all together in perfect harmony." 2. The ability to make allowance in our clothes so that any eventualities can be managed. Let's paint a picture in our minds! We are tailors but we don't sew clothes, we sew virtues of tenderhearted mercy, kindness, humility, gentleness, patience, and Love. 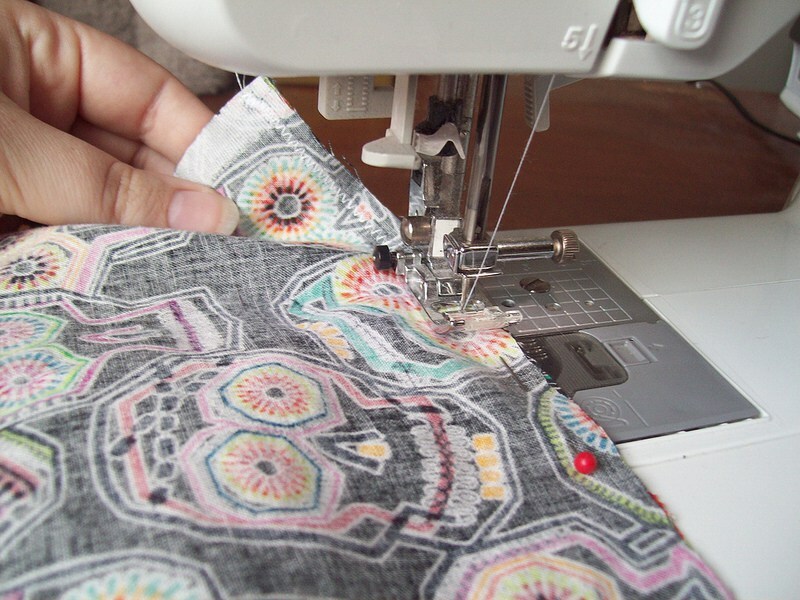 Imagine you sew for other people and you always sew your size no matter how big or small they are, I bet your clothes aren't going to fit a lot of people! After a while, people don't just come to you to receive their fabric anymore. That's what happens when we are always consumed with ourselves, anytime we relate to people. I Understand that there might be unexpected hitches in us relating with people even when we fit them with our fabrics and that brings us to the second parameter for a great tailor. Sometimes we get the measurement right for others but some hitches develop along the way that we did not expect before. We never know people completely no matter how long we might have been with them, that is why it is never a wise decision to box people because naturally we are dynamic in nature and must be given room to grow. Unexpected behavior or Negative turn of events can come on us suddenly from and through those that we have so diligently sewn fitted fabrics for. That's where making for allowances come in. It might take extra work to loosen the fittings to create new ones but it brings great joy to know that others won't outgrow our virtues and that the fabrics won't be torn easily because there is an allowance for mistakes. Always remember that people come in various sizes and shapes so sew virtues to fit them and also make allowances. There is very little difference in people, but that little difference makes a big difference. 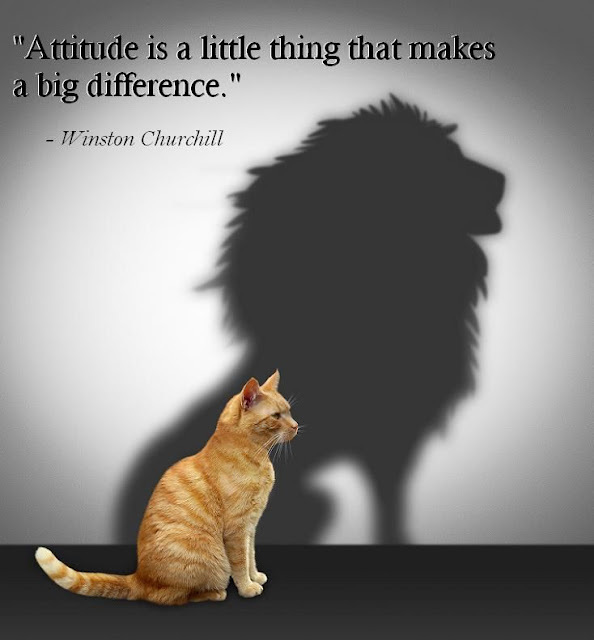 The little difference is the attitude. The big difference is whether it is positive or negative. Nowhere is this principle better illustrated than in the story of the young bride from the East who, during wartime, followed her husband to a U.S. Army camp on the edge of the desert in California. Living conditions were primitive at best, and her husband had advised her against her move, but she wanted to be with him. The only housing they could find was a run-down shack near an Indian village. The heat was unbearable in the daytime. The wind blew constantly, spreading dust and sand all over everything. The days were long and boring. Her only neighbors were Indians, none of whom spoke English. When her husband was ordered farther into the desert for two weeks, loneliness and the wretched living conditions got the best of her. She wrote to her mother that she was coming home. She couldn't take it anymore. In a short, while she received a reply which included these lines,'' Two men looked through prison bars; one saw mud, the other saw stars.'' She read the lines over and over again and began to feel ashamed of herself. She didn;t really want to leave her husband. All right, she thought, she'd look for the stars. In the following days, she set out to make friends with the Indians, asking them to teach her weaving and pottery. At first, they were distant, but soon as they sensed her genuine interest, they returned her friendship. She became friendly with the culture and history- in fact, everything about them. As she began to study the desert, it too changed from a desolate, forbidding place to a marvelous thing of beauty. She had her mother send her books. She studied the forms of cacti, the yuccas, and the Joshua trees. She collected seashells that had been left there when the sands had been ocean floor. Later, she became such an expert on the area that she wrote a book about it. What had changed? Not the desert; not the Indians. Simply by changing her attitude, she transformed a miserable experience into a highly rewarding one. YOU CAN DO THE SAME TODAY!! He is one of the greatest basketball players this generation has ever known. When he was asked how he grew into a star, he said that when he was in secondary school, he was shamefully fired from college basketball team because he was not good enough. He went home and cried! After crying, he began to dream! He wanted to prove to the coach that he had made a mistake. He began to develop his imagination and a mental picture of what he wanted to become. He said his thought began to grow. Then he started playing in smaller courts. His skill and fame began to spread. The coach included him again in the main team and from then on, he grew and grew in skill till he became so famous that he now wines and dines with presidents of nations. Was Micheal Jordan not counted as a failure? Learn from your weak points, mistakes, and failures and start planning for a better tomorrow. Plant your dreams deep, water them daily with your positive attitudes and do not let confusion or depression to choke it. The secret of success is constancy of purpose. There is no road to success but through a clear strong purpose. Venice in Italy, that universally considered as the most beautiful city in the world is built by dreamers. 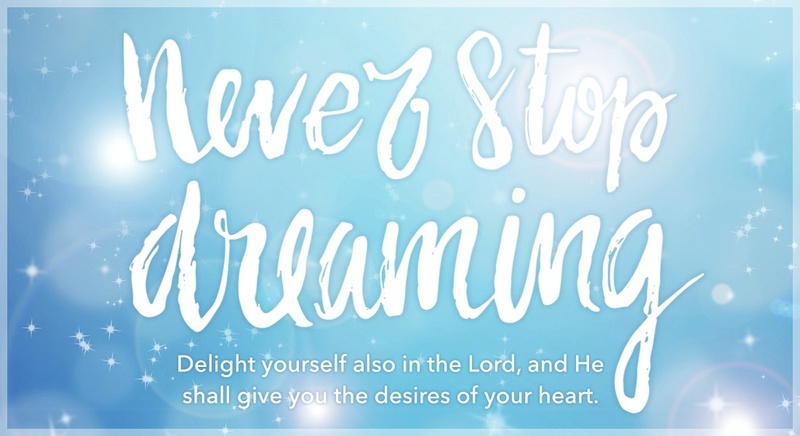 Do not stop dreaming! Cherish your dream and try to make them real. Once you achieve your dream, do not stagnate. You need new inspirations and dreams to carry on your life.If you stop your journey, you will just stagnate. So make sure you keep moving. After realizing your dream, get another dream and chase it. 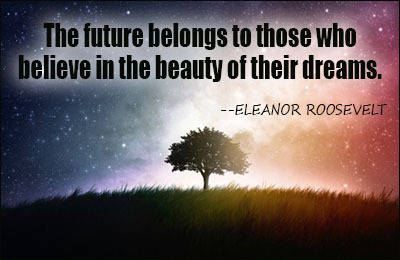 Are you following your dreams? Dreams are great, but they stay dreams unless you wake up and act on them. If you are not willing to move a muscle for realizing your dreams, they will always stay dreams Are you ready to be successful? Then stop waiting.Get ready to achieve what you've been dreaming of. We must never stop dreaming.Dreams provide nourishment for the soul, just as a meal does for the body...Paul Coelho. Life is about association. Walking with the right people can be productive. The same way, your failure is sealed when you walk with foolish people who have no regard for God.Your relationship decisions are influenced by the choice of your friends. The people you know and you have access to in the days of challenges will determine whether that challenge will crush you or will be crushed by you. If you associate for long with a monkey, you will learn how to jump on trees. If you lie down with a dog, you will rise up with fleas.It is all about laws of connections and relationships. Who is your friend? 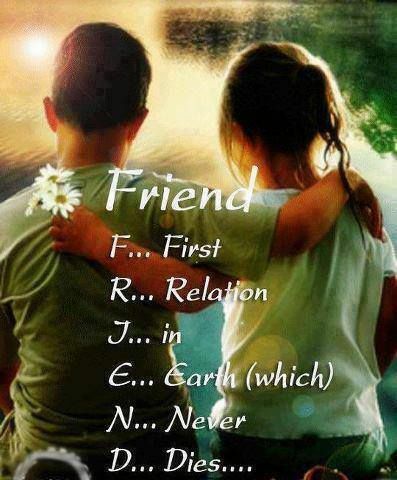 Your friend is the definition and description of your life. The future of your friend is the picture of your future. Watch the friends you have, friendship is by choice and not by force. Can you confidently introduce your friends to your parents or any of your relations your highly respect? Choose friends who are go-getters: These people are serious about their goals and serious about their success. They don't treat life casually or waste time on frivolous pursuits. They take actions and get things done. If you consider yourself a go-getter, it is important you have friends who operate the way. Choose friends who can bring balance in your areas of weakness: We all have strength and weaknesses-you know what yours are. With the right friends, you can tap into skills and abilities of those that have expertise in areas that you don't. Choose friends that you share the same interest: Friends with similar interests simply makes life more fun. You can enjoy outings and activities together. Choose friends that stretch, motivate and encourage you: choose friends that will not allow you sit in your comfort zone, rather choose the ones that will lift you up off your box, break the box, stretch, motivate and push you towards success even as he/she is moving along with you. A bar of steel was worth about $5 toward the close of the twentieth century. When the same steel of $5 was forged into horses, it was worth $10, when made into needles its value was up to $350, when used to make pocket knife blades, its worth was $32,000, when made into springs for watches, its value increase to $250,000. Imagine the fire, pounding and bruises the steel had to go through to increase its worth from $5 to $250,000. Yet, the more it was shaped, hammered, beaten, pounded and polished, the greater its value. You are just like the $5 bar of steel and if you refuse to increase your value by consciously improving on your self and on your skills, you will be of the same value throughout your life. As we all know, any product or service that is not improved upon will be dumped and the ones that have been improved upon will be sought after by all because they have quality features and benefits that other do not have. 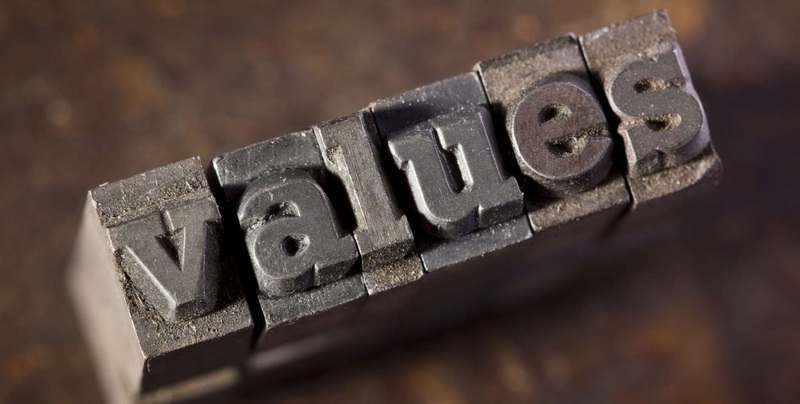 You get paid for bringing value to the marketplace, and if you're not very valuable, you don't make much money.The burning question now is this; How do i make myself valuable? Develop Expertise: One simple way for an instant boost of your value as a professional is to develop specific expertise so that your industry recognizes you as an influencer.For example, as a traditional marketer, you can decide to up your game by acquiring digital marketing skills.This will greatly give you an edge. Research Your Dream Jobs: For those that are unemployed or those that want to change career, understanding the responsibilities and requirements of your dream job will help you align your own skills, and understand what you need to bring to the table thereby increasing your value. Be Active On The Three Major Social Media Platforms: Join facebook, twitter, and LinkedIn and ensure that you actively post, engage with others, build relationships and participate in online discussions, adding value with every post or response. While Facebook is a more entertainment-driven network, Twitter is simply perfect for growing into an influencer. You can post your own content, retweet things written by others and build a social presence that users respect. As you gained followers, you'll reach out to a wider audience and make yourself heard in your industry- effectively building a solid reputation. Linkedin is the most important professional network on the web.Being active here means not only setting up a nice profile but also joining groups and participating in discussions, sharing valuable insights and experiences with other professionals in your sector. Find A Mentor: Identify a person who could become your mentor and help you see aspects of yourself that could be improved upon. Doing this will greatly increase your value. Educate Yourself: Certifying your skills is always a good idea.Constantly educating yourself and updating your skills is a way of adding value to yourself.This could be completing a workshop/training or a full-time degree. 1. All men dream, but not equally.Those who dream by night in the dusty recesses of their minds, wake in the day to find that it was vanity: but the dreamers of the day are dangerous men, for they may act on their dreams with open eyes, to make them possible.... T.E Lawrence. 3. A dreamer is one who can only find his way by moonlight, and his punishment is that he sees the dawn before the rest of the world....Oscar Wilde. 5. Never limit yourself because of others' limited imagination; never limit others because of your own limited imagination........Mae Jemison. 6. Never give up on a dream just because of the time it'll take to accomplish it. The time will pass anyway. 7. The only place where your dream becomes impossible is in your own thinking...Robert H. Schuller. 8. When people undermine your dreams, predict your doom or criticize you, remember they are telling you their story, not yours. 9. Tell your heart that the fear of suffering is worse than the suffering itself.And no heart has ever suffered when it goes in search of its dream.... the Alchemist. 10. A dream doesn't become reality through magic; it takes sweat, determination, and hard work....Colin Powell. 11. So many of our dreams at first seem impossible, then they seem improbable, and then, when we summon the will, they soon become inevitable.....Christopher Reeve. 12. If you don't build your dream, someone will hire you to help build theirs.... Tony Gaskins. 13. 20 years from now you will be more disappointed by the things that you didn't do than by the ones you did do. So throw off the bowlines. Sail away from the safe harbor. Catch the trade winds in your sails.Explore.Dream. Discover.....Mark Twain. 14. Do not lose hold of your dreams or aspirations. For if you do, you may still exist but you have ceased to live.... Henry David Thoreau. 15. If you dream small dreams, you voluntarily put your unlimited creativity and power in a confined prison cell. It is no secret that our worst fear is often failure.But what if failure is actually a good thing. Many of us try as much as possible to avoid failing. In fact, we are so focused on not failing that we don't aim for success, settling instead for a life of mediocrity. The fact that you've failed is proof that you are not finished.Failures and mistakes can be a bridge, not a barricade to success. Because it's not how far you fall but how high you bounce that makes all the difference. Success consists of getting up just one time more than you fall down. One of the riskiest things you can do in life is to take too many precautions and never have any failures or mistakes. No one has ever achieved genuine success who did not, at one time or the other, wander on the edge of disaster. if you have tried to do something and failed, you are greatly better off than if you had never tried to do anything and you succeeded.If you are not making mistakes, you are not risking enough. Taking cues from the great thinkers throughout history, you will see that failure is a powerful a tool as any in reaching great success.As wonderful i claim failures could be, it is good for us to remind ourselves that the determinant that converts our failure to success is ourselves, what we allow to happen on the inside of us.While it is very easy to become downcasted and lose motivation when things don't go as planned, choose to use those failures as a mechanism to reset your perspective.Look at the challenges from another angle and try again.